Rick has had the good fortune of having lived and worked in some of the most spectacular areas of the western US. Growing up in a small cow town in Montana to Glacier National Park area, Monterey Bay, Orange County CA, Sedona, AZ and now what can only be described as paradise and the best climate in the world, Kailua Kona, HI. Property owners since 2009, he’s enjoyed the many opportunities West Hawaii has to offer. Beaches come in different colors, white, black or green sands. Swimming, snorkeling, diving, paddling and SUP. Renowned sport fishing off the coast. Hiking and biking is abundant. Kona hosts the Ironman World Championships every year. 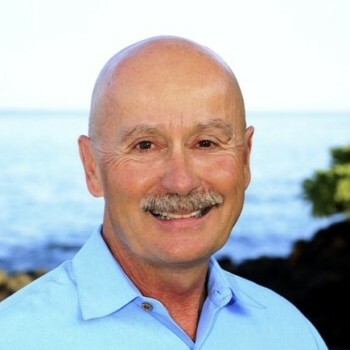 Rick is a past finisher of Lavaman and Honu triathlon events and volunteers annually for the Ironman. Many many volunteer opportunities for those who would like to become more involved within the community. Looking to sell? Our company has a business relationship with Zillow, Trulia, Yahoo, Real Estate.com and Realtor.com. In addition, your property will be listed in our local multiple listing service, reaching over 1100 real estate agents Island wide. Your property will be showcased on our Brokers tour, plus marketed thru open house and real estate only publications. Professional photos, brochures, staging if necessary, are just a few of our marketing tools. Getting to know you and understanding your purchase goals is key to a successful experience. What are your likes, dislikes, location, neighborhood? Is being close to town, schools, stores important in your decisions? Will this be your primary home, vacation home? Or maybe investment opportunities is what you seek. Let’s discuss the possibilities and make your dreams turn to reality.